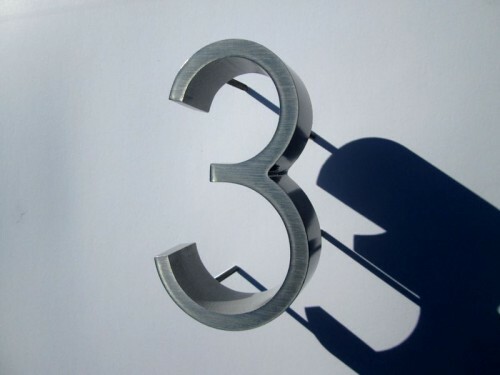 Cast metal house numbers made from aluminium and bronze. Black painted cast metal house numbers in Ribbon Deep Font. 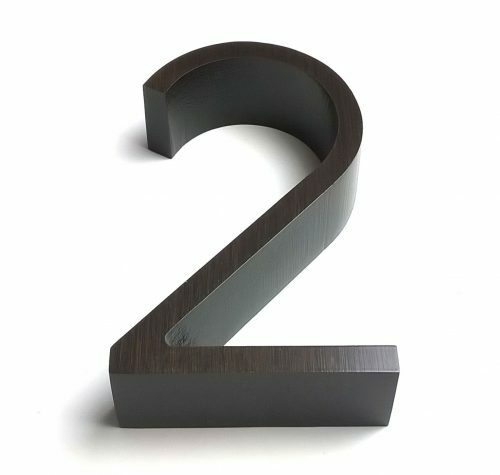 Oxidized cast bronze house numbers in Ribbon Deep Font. Ribbon Deep font. 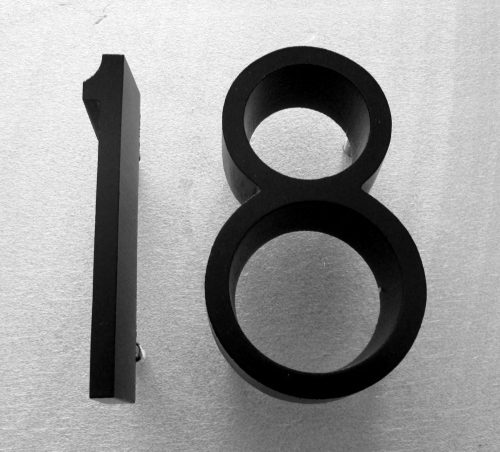 Aluminium House Numbers, 150mm high, 37mm thick.